Timbres, espace, mouvement "La nuit etoilée"
"Morlot clearly shows affinity for this composer ..."
Ludovic Morlot and the Seattle Symphony commemorate the centenary of the birth of Henri Dutilleux with this final album in an extensive survey of the composer’s orchestral works, the culmination of a multi-year, Grammy-winning series dedicated to one of France’s most important musical figures of the second half of the 20th century. This installment features an appearance from Grammy-winning violinist Augustin Hadelich and concludes with a live version of Timbres, espace, mouvement "La nuit étoilée", recorded in concert in late April 2016. The SSO has been championing Dutilleux since the start of Morlot’s tenure in 2011, a project of deep personal significance to the conductor who met the composer and witnessed firsthand his considerable creative powers. "The orchestra has been on a journey through Dutilleux’s music for the past five years now and in my view has developed a very intrinsic understanding of this incredible body of work. This final installment encapsulates all that we’ve accomplished on this repertoire over my tenure so far ... 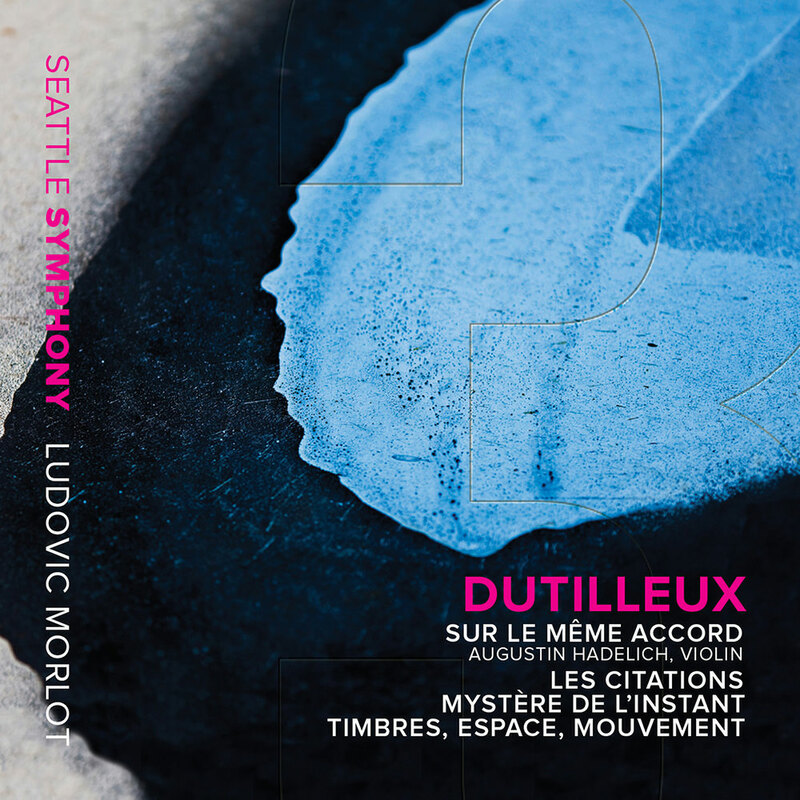 I think Dutilleux would have taken great pride in the fact that his music is being played so often in Seattle and with such dedication."